Pulitzer Prize-winning author Jon Meacham on lessons from the politics of Thomas Jefferson. What we can learn now. 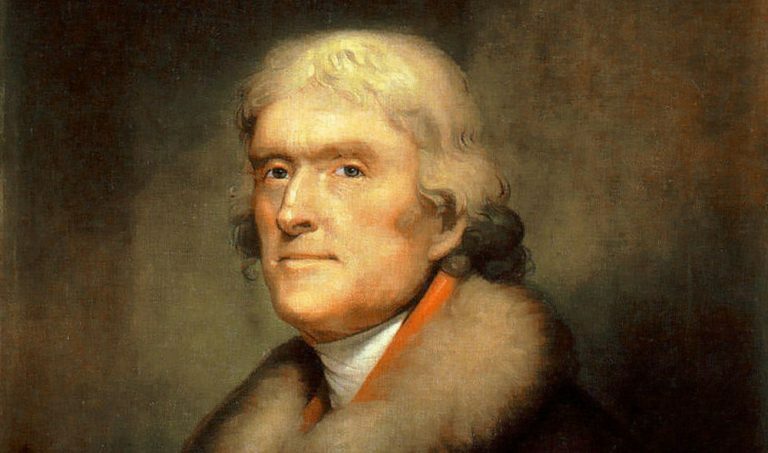 Thomas Jefferson wrote the radical document at the heart of the American experiment. The Declaration of Independence. “All men are created equal.” And he kept slaves. He argued mightily against a too-powerful central government, and he led the federal government as the nation’s third president. He was a planter, a scientist, an historian, an Enlightenment-smitten philosopher, and – says biographer Jon Meacham – a surpassing politician. With a flexibility that our politicians today could use. This hour, On Point: Thomas Jefferson, the philosopher politician. Jon Meacham, Pulitzer-Prize-winning author, his new book is "Thomas Jefferson: The Art of Power." The Washington Post "In 'Thomas Jefferson: The Art of Power,' Meacham, despite his subtitle, accomplishes something more impressive than dissecting Jefferson’s political skills by explaining his greatness, a different task from chronicling a life, though he does that too — and handsomely. Even though I know quite a lot about Jefferson, I was repeatedly surprised by the fresh information Meacham brings to his work. Surely there is not a significant detail out there, in any pertinent archive, that he has missed." The Wall Street Journal "For Election Day, we asked some leading historians and bestselling biographers what the Founding Fathers would have thought about this year’s presidential campaign between President Barack Obama and GOP challenger Mitt Romney." Excerpt from "Thomas Jefferson: The Art of Power"
Excerpted from THOMAS JEFFERSON: THE ART OF POWER by Jon Meacham Copyright © 2012 by Jon Meacham. Excerpted by permission of Random House, a division of Random House, Inc. All rights reserved. No part of this excerpt may be reproduced or reprinted without permission in writing from the publisher. This program aired on November 13, 2012.